We are so proud of our athletes! We have athletes ranging from weekend warrior and wellness athletes to professional level athletes ranked on the world stage. This year I want to become much more fit, and do two half iron man distance triathlons (Oliver 1/2 and another yet to be determined), as well as at least one xterra. I also want to better my lap score at the salty dog, and become a better spectator at the ironman's that my beautiful wife competes in. I love the coaching and community created by BPR and I look forward to another stellar year of being inspired and pushed towards all my goals. I have been active since my teens with team sports and hiking the mountains in my home town, Canmore AB. We moved to Vernon, BC from Calgary AB in 2010 to do more of what we loved, being active outside. In 2000 I supported some great friends at IMC and was incredibly inspired to some day do that race. 12 years later (2 babies, a few half marathons, a few sprints and one Olympic Triathlon) I decided to work with a local coach. 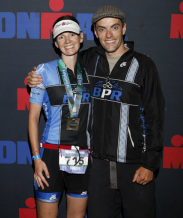 In Jan 2012 I started coaching with Luke and BPR to improve at olympic distance triathlon. 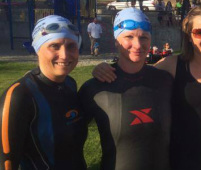 Six months later I was positively challenged to do my first IM by a work colleague and with that push, Luke's coaching and my husbands support I was able to check off a dream-completing my first Iron Man in Coeur d'Alene. It was such a great experience (the 10 months training and the race) that I am hooked and have signed up for another one. I really enjoy the people I have met through this sport and the challenge of each discipline. Outside of formal training, I love being active with my family. I’m not an athlete, I’m an ex-smoker. I failed my first attempt at a “Learn to Run” program – because I couldn’t run more than 3 minutes at a time. But, 12 years ago I quit smoking, and to counter the weight gain, I tried again. 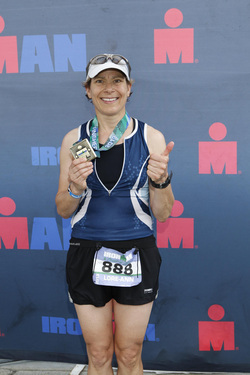 5K was just the beginning and now I am an avid ironman triathlete. I live in Yellowknife, Northwest Territories, so the climate/location can present some training challenges ….but they are all worth it when I feel the energy at the starting line of a big race. I love big races!!! When not training, I like kite skiing with my husband Greg, hiking the trails around home with our dog Inu, and finding new roads to motorcycle. Take my training to the next level with BPR, while staying injury free. 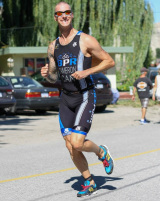 A podium finish at IM Cda, with the ultimate goal of qualifying for Kona. Keep racing ½ IMs to keep my training honest. 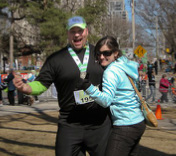 Douglas is a sports medicine physician and is the medical director of the Sports & Exercise Medicine Institute (SEMI). After receiving his medical degree from the University of Toronto, he trained in Australia at the Australian Institute of Sport in Canberra, obtaining his Master Degree in Sports Medicine. 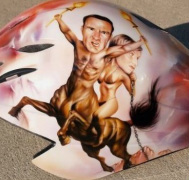 He is also a diplomat of the Canadian Academy of Sport and Exercise Medicine. 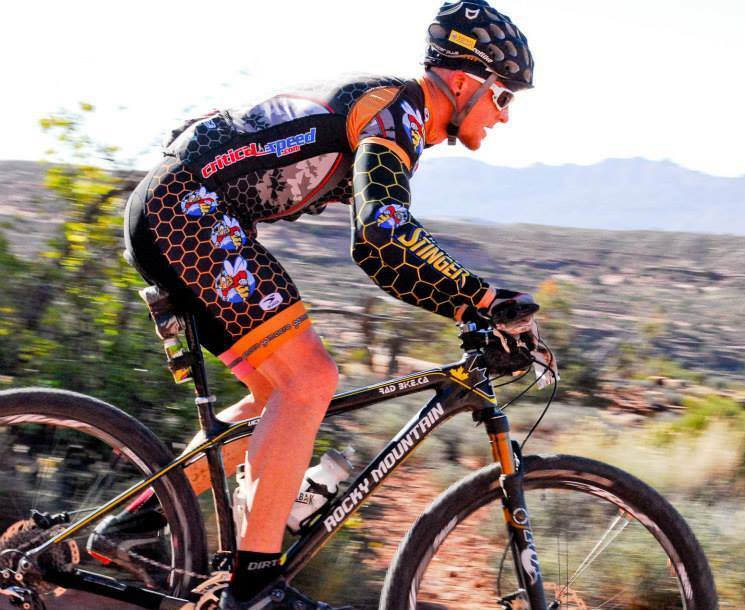 Also, Douglas, along with his wife, Sharon, are the co-founders e load Sport Nutrition, which designs and manufactures nutritional products for endurance athletes. 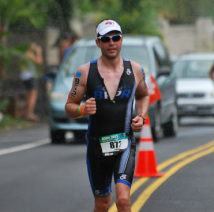 He is a father of two boys and an avid triathlete. 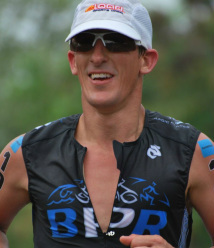 Now in his 3rd year as a BPR athlete, he has settled into Olympic Distance triathlons as his distance of choice. Best result last year was 5th in his age group (yes, there were more than 5 competitors! ), but he is most proud of his 17th placing in his age group at the Toronto Triathlon Festival last summer where it seemed like every fast age grouper showed up to claim one of the many world spots being offered...not quite there yet, but who knows what’s ahead under the watchful eye of coach Ginny! 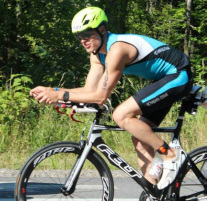 I competed in my first triathlon, the UBC Tri/Duo, in 2011 in the sprint distance. Since then we have moved to Kelowna and I joined BPR in January of 2014. I am a mining engineer by profession but I enjoy all sorts of outdoor activities including hiking, swimming, snowshoeing, snowboarding, and camping. I'm a hobbyist photographer and an all 'round geek so I quite enjoy technology and computers. To keep building on my results from this year's Olympic triathlons and complete a sub 3h Olympic triathlon in 2015. Complete half-Ironman distances in 2015. 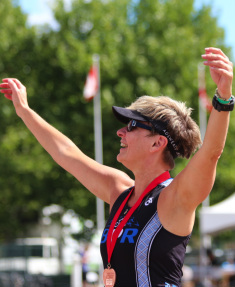 Compete in the Whistler full Ironman in 2016 or 2017. A Legendary Hardman Cat 1 Road Racer who has crossed over to the dark side of Long Distance Triathlon racing with the race of choice being IM Distance events. 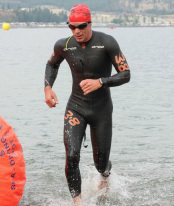 I first started in triathlon in 2008 with the intention of completing Ironman Canada. After accomplishing Ironman I became addicted to the sport. I have become healthier over the last 6 years by constantly wanting to eat better and train at a level where I will improve year after year. After working with Coaches Chris Willett and Luke Way over the last three years I have been able to compete at a higher level than even I imagined after first getting into the sport. I plan on continuing my training with Balance Point Racing for years to come because I believe they give me the best chance to get the best out of myself. My main goal is to have a really solid fast race at the World Championships in Edmonton and hopefully Qualify for the World Championships in Chicago 2015. 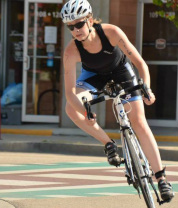 I also hope to generally be faster in swimming, biking, and running. My long term goals are to try and perform well at a World Championship sprint race and eventually get back into doing some Olympic distance races. My childhood was full of running and biking, and I dabbled in XC running and rowing at Queen's University. 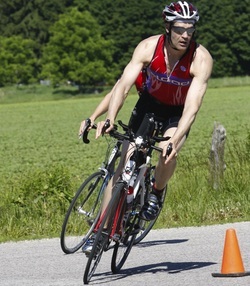 I entered the world of endurance sport in 2000, taking on Ironman Canada for the first time. 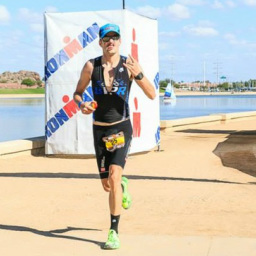 11 IM races later, I've been able to race in Australia, New Zealand, Wisconsin, Utah, and qualified for IM World Championship in Hawaii four times. I have raced a handful of XTERRA races including a 2nd place finish at World Championships in Hawaii. 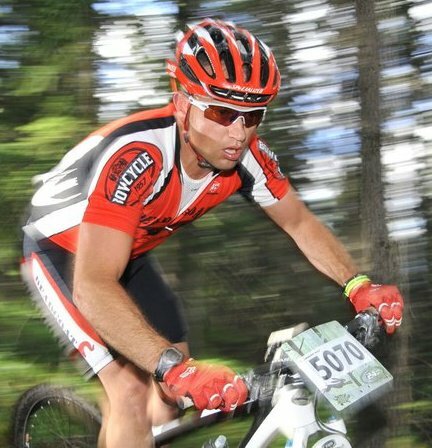 In 2010 I experienced TransAlp 7 day cycling stage race. In 2012 I entered my first ultra marathon in Mallorca Spain, and finished 2nd over 68km or mountains. If it's long and challenging, I love it! 2013 was all about over-coming a knee injury. 2014 is all about getting stronger, and getting back to the sports I love! My energy will also be focussed on coaching triathlon camps with BPR, leading Two-X-Elle Cycling Association, and my work as a Speech-Language Pathologist. 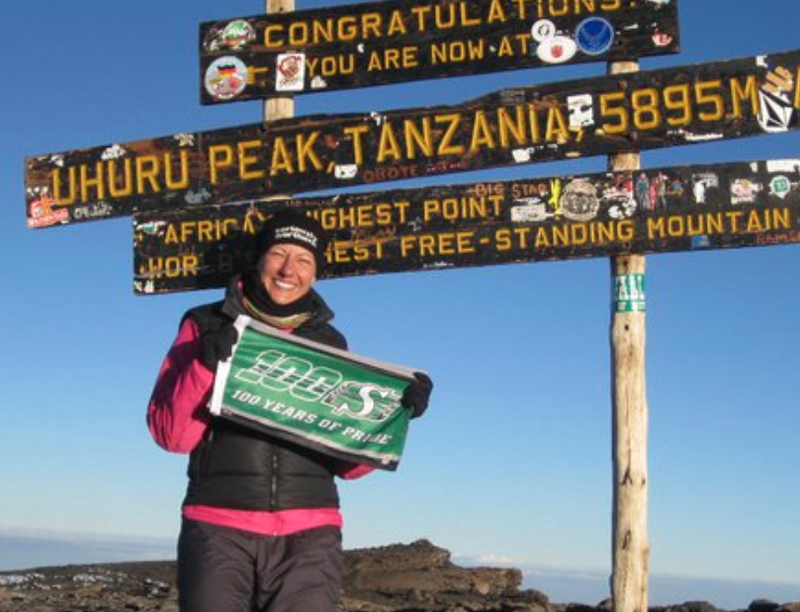 The events that really draw me are multi-day ultra marathons such as TransAlp, and TransRockies. I am a proud co-founder of BPR, and continue to support a small group of Junior athletes, while acting as consultant with some of the elite team. The past few years have been an enjoyable balance of work and travel that has allowed me to race at some incredible locations. This year has more of the same in store. I started my athletic career as a mediocre swimmer at a very young age. 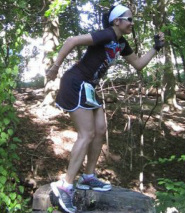 Since that time, I have continued to enjoy training and competing, and have recently turned my attention on completing the Ironman/Xterra Double. After a major setback in Kona in 2011 (read, unconscious 7km form finish line), I am looking forward to redeeming myself and completing this chapter of my athletic career. Focus on leaving no stone unturned. Continue racing multi-stage events, and epic adventures around the world. Trek, Valeo Health Clinic, Fresh Air Concept, Tri It Multisport. 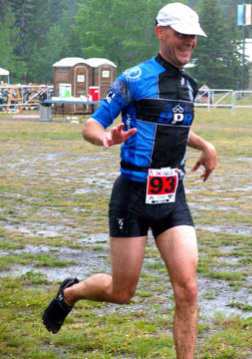 I have been racing since 1999 and started my Pro career in Xterra in 2005. I now live in the beautiful Okanogan Valley. My life is wonderfully full with coaching and racing. I am coaching full time with Balance Point Racing. As well as working at Fresh Air Concept as a Master Fitter and product consultant. 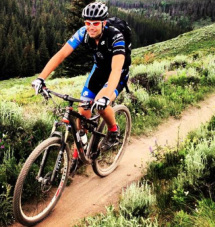 I also enjoy heading up to my home town of Jasper, AB, to go mountain biking, road riding, snow shoeing, white water rafting and many other adventure activities. Keep building every year on my past results. Be a contender at the Xterra World Championships 2015. Be a contender at Ironman Kona in 2016.